Headbands, jewels, French skipping elastics, clothes for children or lingerie... Make your own accessories or personalize your outfits as you wish with our 'Tartan' flat elastic ribbon. You'll fall for its charming floral pattern ! Plus, it is oeko-tex certified and is perfectly adapted for children use. 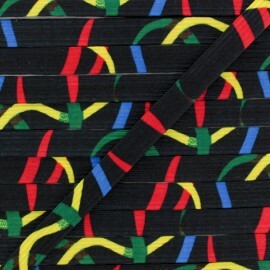 Headbands, jewels, French skipping elastics, clothes for children or lingerie... Make your own accessories or personalize your outfits as you wish with our 'Abstract Patternt' flat elastic ribbon. You'll fall for its charming floral pattern ! Plus, it is oeko-tex certified and is perfectly adapted for children use. Headbands, jewels, French skipping elastics, clothes for children or lingerie... Make your own accessories or personalize your outfits as you wish with our 'Imaginary Art' flat elastic ribbon. You'll fall for its charming floral pattern ! Plus, it is oeko-tex certified and is perfectly adapted for children use. 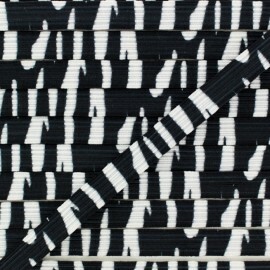 Headbands, jewels, French skipping elastics, clothes for children or lingerie... Make your own accessories or personalize your outfits as you wish with our 'Zebra' flat elastic ribbon. You'll fall for its charming floral pattern ! Plus, it is oeko-tex certified and is perfectly adapted for children use. 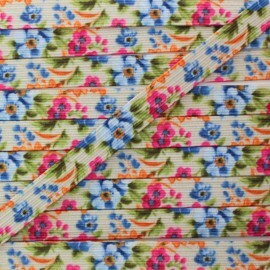 Headbands, jewels, French skipping elastics, clothes for children or lingerie... Make your own accessories or personalize your outfits as you wish with our 'Floral Dream' flat elastic ribbon. You'll fall for its charming floral pattern ! Plus, it is oeko-tex certified and is perfectly adapted for children use. 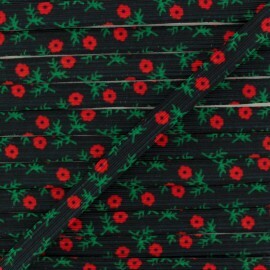 Headbands, jewels, French skipping elastic, clothes for children or lingerie... Make your own accessories or personalize your outfits as you wish with our 'Wild Meadow' flat elastic ribbon. You'll fall for its charming floral pattern ! Plus, it is oeko-tex certified and is perfectly adapted for children use. 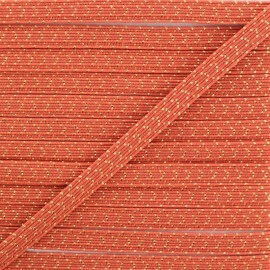 Headbands, jewels, French skipping elastic, clothes for children or lingerie... Make your own accessories or personalize your outfits as you wish with our Scarlet Poesy flat elastic ribbon. You'll fall for its charming floral pattern ! Plus, it is oeko-tex certified and is perfectly adapted for children use. 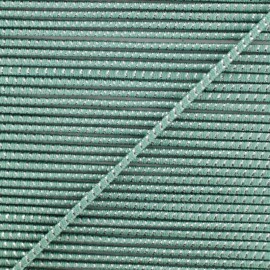 Headbands, jewels, original laces, clothes for children or lingerie... Make your own accessories or personalize your outfits as you wish with our sage green flat elastic ribbon. Discret but shiny thanks to its 2% of golden lurex thread, it'll add a fancy note to your creations ! Plus, it is oeko-tex certified and is perfectly adapted for children use. 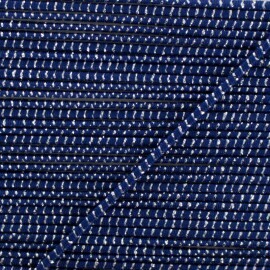 Headbands, jewels, original laces, clothes for children or lingerie... Make your own accessories or personalize your outfits as you wish with our azure blue flat elastic ribbon. Discret but shiny thanks to its 2% of golden lurex thread, it'll add a fancy note to your creations ! Plus, it is oeko-tex certified and is perfectly adapted for children use. Headbands, jewels, original laces, clothes for children or lingerie... Make your own accessories or personalize your outfits as you wish with our clay flat elastic ribbon. Discret but shiny thanks to its 2% of golden lurex thread, it'll add a fancy note to your creations ! Plus, it is oeko-tex certified and is perfectly adapted for children use. 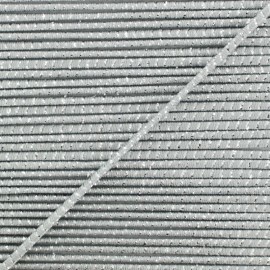 Headbands, jewels, original laces, clothes for children or lingerie... Make your own accessories or personalize your outfits as you wish with our grey flat elastic ribbon. Discret but shiny thanks to its 2% of golden lurex thread, it'll add a fancy note to your creations ! Plus, it is oeko-tex certified and is perfectly adapted for children use. 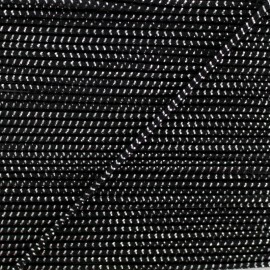 Headbands, jewels, original laces, clothes for children or lingerie... Make your own accessories or personalize your outfits as you wish with our black flat elastic ribbon. Discret but shiny thanks to its 2% of golden lurex thread, it'll add a fancy note to your creations ! Plus, it is oeko-tex certified and is perfectly adapted for children use. 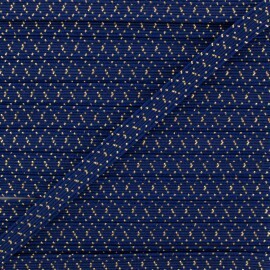 Headbands, jewels, original laces, clothes for children or lingerie... Make your own accessories or personalize your outfits as you wish with our navy blue flat elastic ribbon. Discret but shiny thanks to its 2% of golden lurex thread, it'll add a fancy note to your creations ! Plus, it is oeko-tex certified and is perfectly adapted for children use. Headbands, jewels, original laces, clothes for children or lingerie... Make your own accessories or personalize your outfits as you wish with our plum flat elastic ribbon. Discret but shiny thanks to its 2% of golden lurex thread, it'll add a fancy note to your creations ! Plus, it is oeko-tex certified and is perfectly adapted for children use. 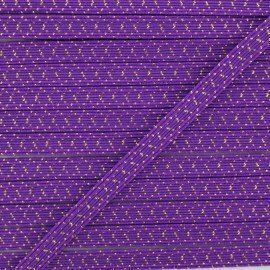 Headbands, jewels, original laces, clothes for children or lingerie... Make your own accessories or personalize your outfits as you wish with our purple flat elastic ribbon. Discret but shiny thanks to its 2% of golden lurex thread, it'll add a fancy note to your creations ! Plus, it is oeko-tex certified and is perfectly adapted for children use. Headbands, jewels, original laces, clothes for children or lingerie... Make your own accessories or personalize your outfits as you wish with our rust flat elastic ribbon. Discret but shiny thanks to its 2% of golden lurex thread, it'll add a fancy note to your creations ! Plus, it is oeko-tex certified and is perfectly adapted for children use. 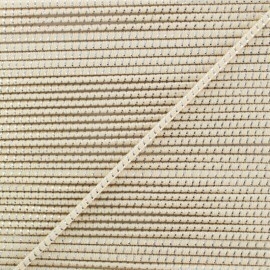 Headbands, jewels, original laces, clothes for children or lingerie... Make your own accessories or personalize your outfits as you wish with our taupe flat elastic ribbon. Discret but shiny thanks to its 2% of golden lurex thread, it'll add a fancy note to your creations ! Plus, it is oeko-tex certified and is perfectly adapted for children use. 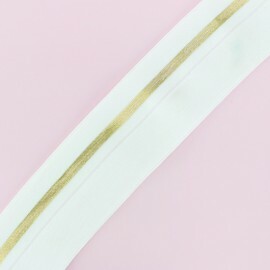 Headbands, jewels, original laces, clothes for children or lingerie... Make your own accessories or personalize your outfits as you wish with our Comete beige flat elastic ribbon. Discret but shiny thanks to its 2% of golden lurex thread, it'll add a fancy note to your creations ! Plus, it is oeko-tex certified and is perfectly adapted for children use. 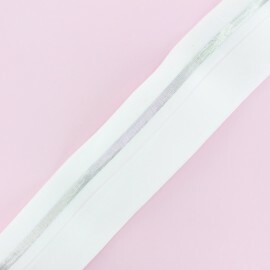 Headbands, jewels, original laces, clothes for children or lingerie... Make your own accessories or personalize your outfits as you wish with our Comete white flat elastic ribbon. 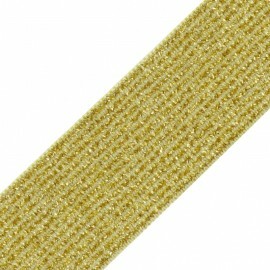 Discret but shiny thanks to its 2% of golden lurex thread, it'll add a fancy note to your creations ! Plus, it is oeko-tex certified and is perfectly adapted for children use. Bracelets, key chains, original laces... Make your own accessories or personalize your outfit as you wish with our Eclipse rust elastic cord. Thin and shiny thanks to its 13% of silver lurex, it'll add a fancy note to your look ! Plus, it is oeko-tex certified and is perfectly adapted for children use. Bracelets, key chains, original laces... Make your own accessories or personalize your outfit as you wish with our Eclipse taupe elastic cord. Thin and shiny thanks to its 13% of silver lurex, it'll add a fancy note to your look ! Plus, it is oeko-tex certified and is perfectly adapted for children use. 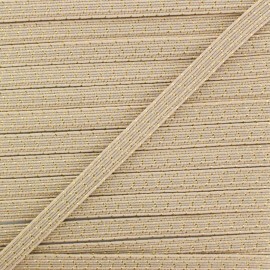 Bracelets, key chains, original laces... Make your own accessories or personalize your outfit as you wish with our Eclipse beige elastic cord. Thin and shiny thanks to its 13% of silver lurex, it'll add a fancy note to your look ! Plus, it is oeko-tex certified and is perfectly adapted for children use. Bracelets, key chains, original laces... Make your own accessories or personalize your outfit as you wish with our Eclipse azure blue elastic cord. Thin and shiny thanks to its 13% of silver lurex, it'll add a fancy note to your look ! Plus, it is oeko-tex certified and is perfectly adapted for children use. Bracelets, key chains, original laces... Make your own accessories or personalize your outfit as you wish with our Eclipse blue elastic cord. Thin and shiny thanks to its 13% of silver lurex, it'll add a fancy note to your look ! Plus, it is oeko-tex certified and is perfectly adapted for children use. 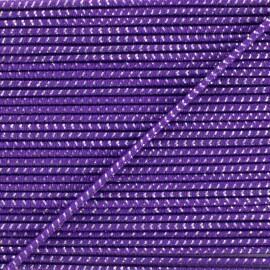 Bracelets, key chains, original laces... Make your own accessories or personalize your outfit as you wish with our Eclipse purple elastic cord. Thin and shiny thanks to its 13% of silver lurex, it'll add a fancy note to your look ! Plus, it is oeko-tex certified and is perfectly adapted for children use. Bracelets, key chains, original laces... Make your own accessories or personalize your outfit as you wish with our Eclipse black elastic cord. Thin and shiny thanks to its 13% of silver lurex, it'll add a fancy note to your look ! Plus, it is oeko-tex certified and is perfectly adapted for children use. Bracelets, key chains, original laces... Make your own accessories or personalize your outfit as you wish with our Eclipse grey elastic cord. Thin and shiny thanks to its 13% of silver lurex, it'll add a fancy note to your look ! 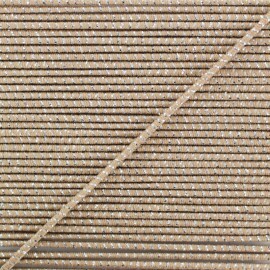 Plus, it is oeko-tex certified and is perfectly adapted for children use. Bracelets, key chains, original laces... Make your own accessories or personalize your outfit as you wish with our Eclipse white elastic cord. Thin and shiny thanks to its 13% of silver lurex, it'll add a fancy note to your look ! Plus, it is oeko-tex certified and is perfectly adapted for children use. 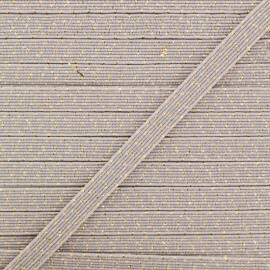 Discover the grey and gold Zeda striped bias binding to add beautiful finishes to your coats, jackets and pants. 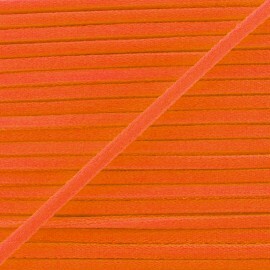 Flexible and satiny, you will be able to sublimate your edges of clothes and sleeves with this pre-folded elastic bias for an easy folding! 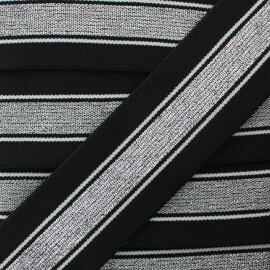 Discover the grey and silver Zeda striped bias binding to add beautiful finishes to your coats, jackets and pants. 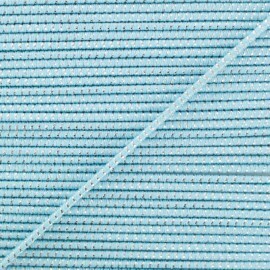 Flexible and satiny, you will be able to sublimate your edges of clothes and sleeves with this pre-folded elastic bias for an easy folding! 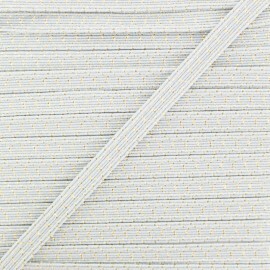 Discover the white and silver Zeda striped bias binding to add beautiful finishes to your coats, jackets and pants. 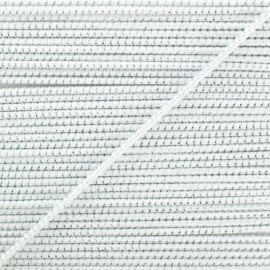 Flexible and satiny, you will be able to sublimate your edges of clothes and sleeves with this pre-folded elastic bias for an easy folding! 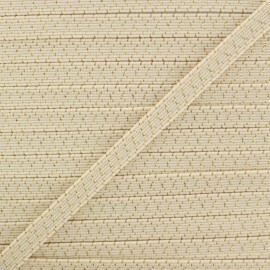 Discover the white and gold Zeda striped bias binding to add beautiful finishes to your coats, jackets and pants. 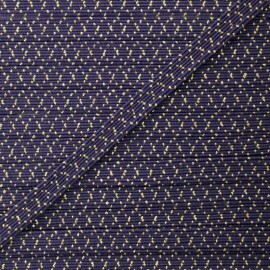 Flexible and satiny, you will be able to sublimate your edges of clothes and sleeves with this pre-folded elastic bias for an easy folding! 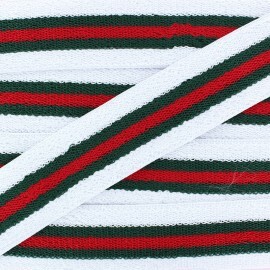 Discover the 40 mm white, green and red sponge elastic ribbon. You will appreciate its spongy reverse made out of soft rayon. 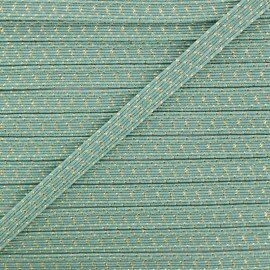 It will be perfect to make large pajamas belts, headbands and sport pants. 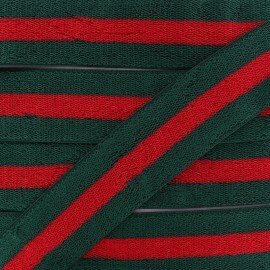 Discover the 45 mm green and red sponge elastic ribbon. You will appreciate its spongy reverse made out of soft rayon. 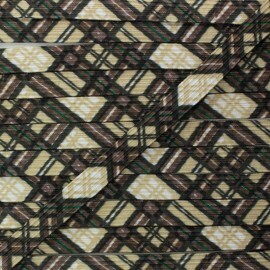 It will be perfect to make large pajamas belts, headbands and sport pants. 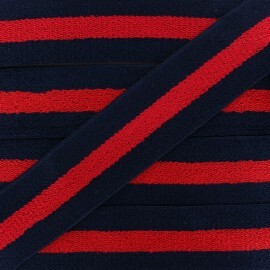 Discover the 45 mm dark blue and red sponge elastic ribbon. You will appreciate its spongy reverse made out of soft rayon. It will be perfect to make large pajamas belts, headbands and sport pants. 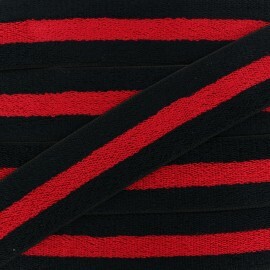 Discover the 45 mm black and red sponge elastic ribbon. You will appreciate its spongy reverse made out of soft rayon. 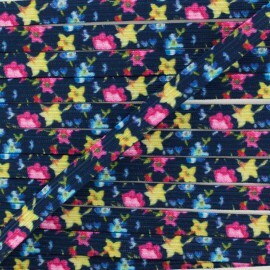 It will be perfect to make large pajamas belts, headbands and sport pants. 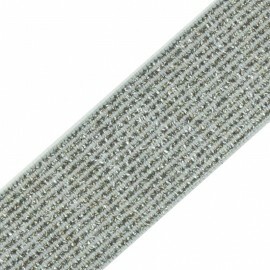 Discover the 45 mm reversible sponge elastic ribbon. You will appreciate its spongy reverse made out of soft rayon. 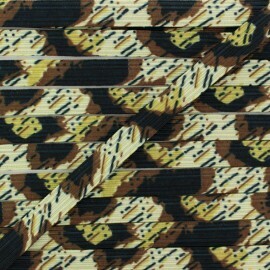 It will be perfect to make large pajamas belts, headbands and sport pants. 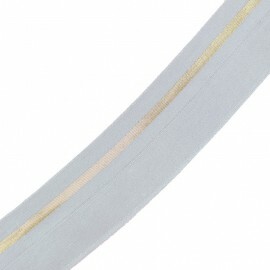 Discover our 40 mm and 50 mm flat white elastic. 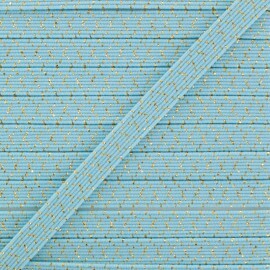 This wide elastic is flexible and resistant, it will be ideal for lingerie and well-adjusted clothes (skirt, pants, shorts, belt, etc.). 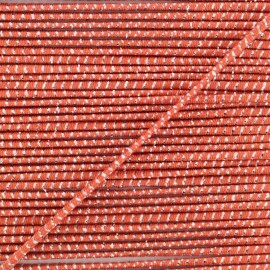 This 5 mm neon orange elastic cord is ideal to customize your creations: use it to create pretty corded hoodie, enhance your shoes with this elastic as a lace or create many fancy accessories with the neon elastic cord such as key rings, bracelets, etc. 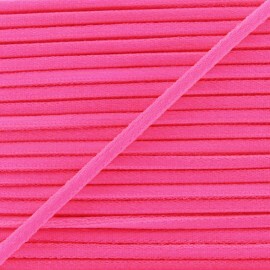 This 5 mm neon pink elastic cord is ideal to customize your creations: use it to create pretty corded hoodie, enhance your shoes with this elastic as a lace or create many fancy accessories with the neon elastic cord such as key rings, bracelets, etc. This 5 mm neon yellow elastic cord is ideal to customize your creations: use it to create pretty corded hoodie, enhance your shoes with this elastic as a lace or create many fancy accessories with the neon elastic cord such as key rings, bracelets, etc. This 5 mm neon green elastic cord is ideal to customize your creations: use it to create pretty corded hoodie, enhance your shoes with this elastic as a lace or create many fancy accessories with the neon elastic cord such as key rings, bracelets, etc. 44 mm navy French Sailor elastic ribbon. 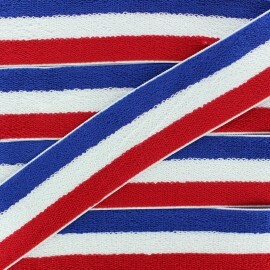 This French ribbon will be perfect to make pretty pajamas, jogging pants or trouser belts. 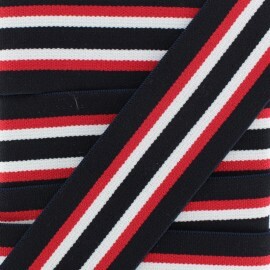 Its reverse is soft and pleasant and it can be turned into a wide underwear belt : underpants, boxers, etc. 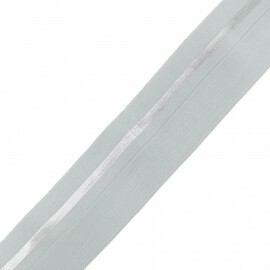 40 mm black and silver Just Dance elastic ribbon. 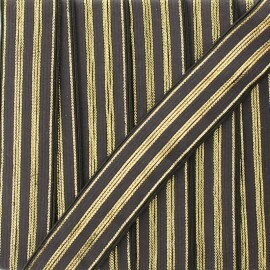 This gold and black stripes ribbon will be perfect to make pretty pajamas, jogging pants or skirt belts.It can easily be turned into a wide underwear belt : underpants, shorties, etc. Add an original and shiny touch to your underwear, create a very glamorous skirt, some trendy pants or embellish a bag with the silver Elsa lurex elastic band. 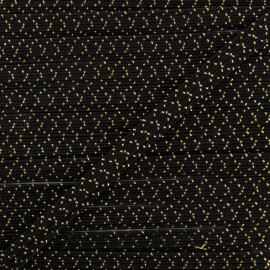 Add an original and shiny touch to your underwear, create a very glamorous skirt, some trendy pants or embellish a bag with the yellow Elsa lurex elastic band.